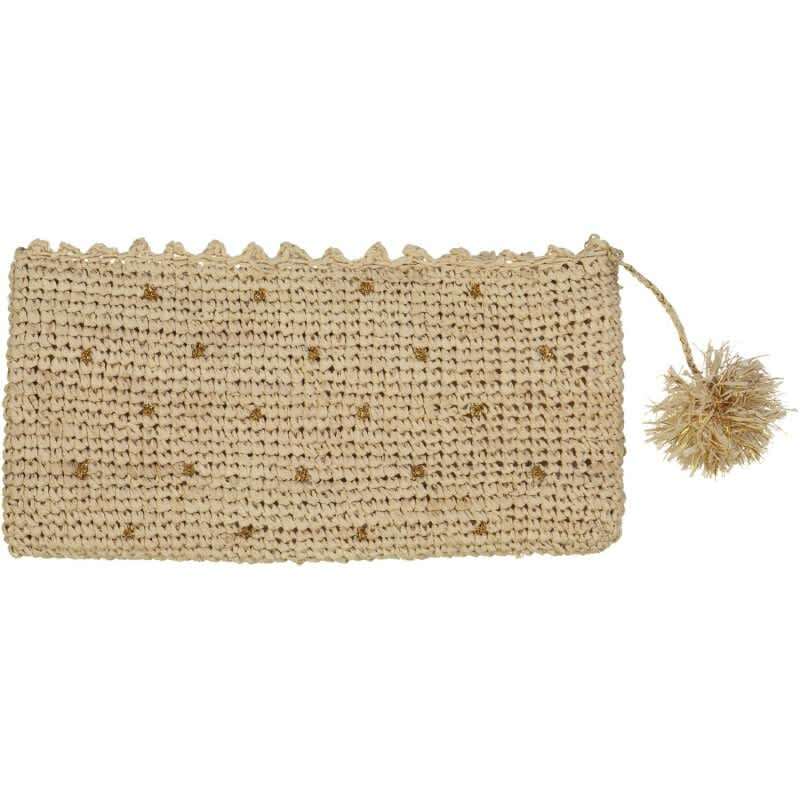 The OBI OBI Kit is made of natural raffia (ecru) and is embellished with dots embroidered with gold thread and a tassel. It is lined with an ecru fabric and closes with a zipper. Made by hand in Madagascar.